Geeta Bhasya is a compilation of Pu. 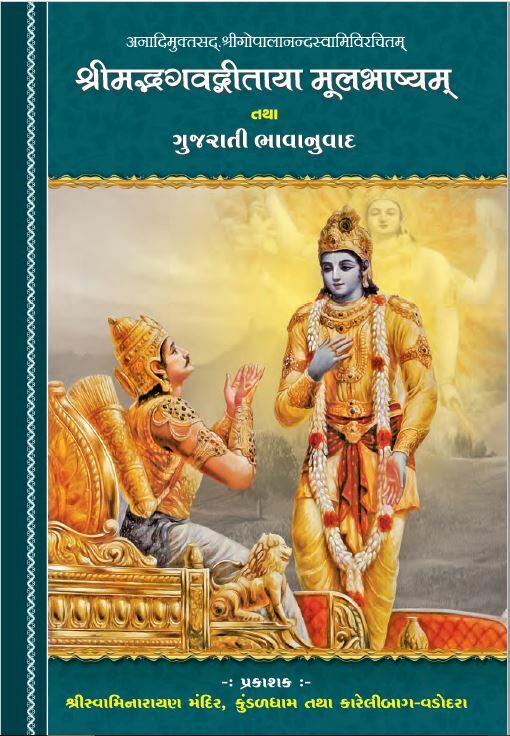 Gopalanand Swami’s analysis and explanations for all the shlokas (verses) in the Bhagvad Geeta. This compilation was translated into Gujarati by Pu. Ishwarcharandasji Swami and was published in 2013. The Bhagvad Geeta is the spoken word of Bhagwan which is imparted by Krishna to Arjun at the Kurukshetra during the Mahabharat. While the Geeta Bhasya discusses all the topics in the Bhagvad Geeta, it focuses specifically on nishkama karma yoga and gyan yoga. The word “bhasya” itself means “interpretation.” There have been many bhasyas done on the Bhagvad Geeta. 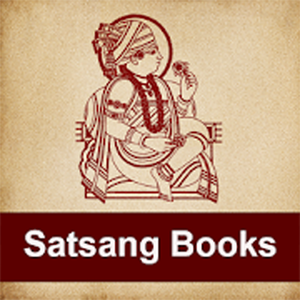 However, each bhasya depends on the perspective taken by the individual writing it. Pu. Gopalanand Swami was arguably the greatest Sadhu in our religious history since Maharaj instructed all to obey Pu. Swami upon Maharaj’s human form passing and instructed Pu. 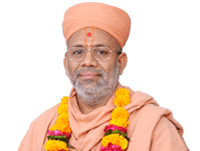 Swami to continue Maharaj’s work. In order to ensure we follow the correct bhasya, Maharaj instructed Pu. Swami to write the Geeta Bhasya.